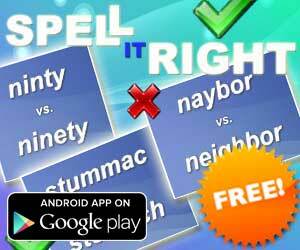 Spelling Book (7714 trailer views) - PLAY IT! Description: Education and fun, can it go together? Spelling Book is a new educational English spelling puzzle game that will teach you spelling in an entertaining and challenging way! The game contains a lot of features including global leaderboard in which you can see points of other people, so do not forget to submit your score at the end of the game to see how is the best in spelling!